While there are many types of Arthritis and the disease may affect different parts of the body, one of the most common locations that are affected is the knee. When arthritis affects the knee (or knees), it can cause stiffness, discomfort and even arthritis muscle pain. 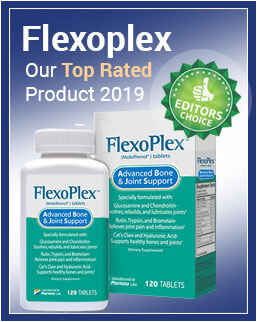 The National Center for Biotechnology Information reports that approximately 37.4% of the United States adult population has some level of knee osteoarthritis, but do not experience symptoms of the disease on a regular basis. There is also a 12.1% prevalence of knee osteoarthritis among adults in the country that are accompanied by frequent symptoms. The prevalence of the disease also seemed to be higher among women than men. There also seems to be a relation between knee osteoarthritis and a BMI of 30 or higher (Having a BMI of 30 or higher means a person is considered to be obese). Osteoarthritis – This type of arthritis is the most common kind to affect a patient’s knee and is caused by “wear-and-tear”. Through years of usage, the cartilage that protects the knee joint wears away gradually, which causes the bones to directly rub on each other when the patient moves their legs or bends their knees? While the pain experienced with this type of arthritis is usually mild in the beginning, the disease can gradually develop and the pain can become much worse if not properly treated. Rheumatoid Arthritis – The second most common kind of arthritis to affect a patient’s knee is known as Rheumatoid Arthritis. Unlike osteoarthritis that is caused by years of “wear-and-tear”, this type of arthritis is actually an autoimmune disease. It is classified as a chronic disease that causes the patient’s immune system to attack joints in their own body, such as the knee. In most cases, this type of arthritis will affect both knees at the same time. Posttraumatic Arthritis – The other kind of arthritis that can also affect a patient’s knee is Posttraumatic Arthritis. This arthritis develops due to a direct injury to a certain part of the body – in this case, the knee. When the patient experiences a direct blow to the knee or any other type of damage to the knee, it can lead to the development of arthritis. Posttraumatic arthritis doesn’t develop directly after the injury but may take several years before it develops. The arthritis muscle pain you experience in your knee starts out mild. It may also be somewhat stiff, especially in the morning. As time goes by, the pain and stiffness gradually start to increase. Patients often notice this when they kneel down, stand up after sitting for a while or while they are climbing stairs. 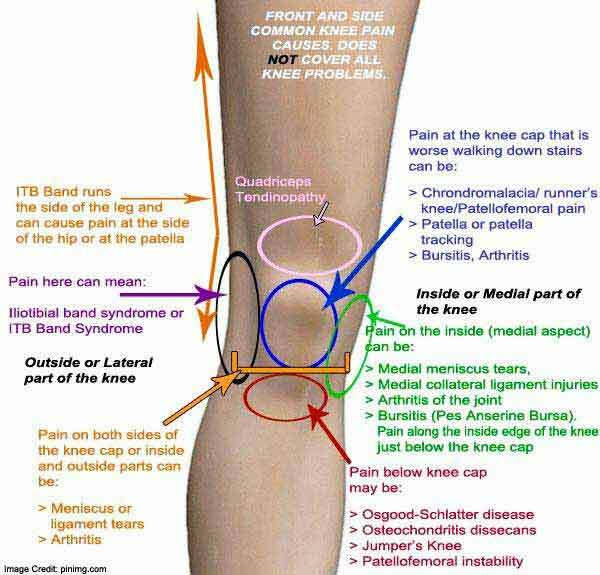 The knee may be swollen most of the time. This can be caused by bone spurs or even excess fluids that are released into the knee. Swelling is usually more intense after you have not been active for a while. When moving, a grinding sensation is often experienced in the knee. Depending on the severity of the condition, the grinding sensation may be accompanied by a cracking sound. Depending on how developed the disease is, it may also cause the knee joint to lock up – which means the patient is unable to bend their leg. A decrease in range of motion is often also experienced if knee arthritis develops. In order to determine whether symptoms experienced are actually related to the development of arthritis, a physical exam and possibly several additional tests may be required. This is the only way to determine whether the symptoms are caused by arthritis, how severe the disease is and what the best treatment options would be. Thus, when you experience these symptoms, it is important to make an appointment with a doctor in order to get an accurate diagnosis. A doctor’s visit will usually start with a range of questions that will help them determine your symptoms. Some questions that may be asked include the symptoms, whether the symptoms worsen after a period of being inactive or being active and for how long you have been experiencing the symptoms. Once the questions have been answered, the doctor will complete a thorough physical exam around your knee and may also request additional imaging tests or lab tests in order to help them make a more accurate diagnosis. Experiencing arthritis muscle pain in the knee can not only be unpleasant but also cause disability. When pain is severe, the patient may be unable to climb stairs or even conduct simple tasks, such as walking a small distance. When these symptoms are experienced, it is important to see a doctor as knee arthritis may be causing the pain. Diagnosing the condition at an early stage means the patient can obtain a more effective treatment plan that may also be more efficient in reducing the symptoms of the disease.